Dobrich (Bulgarie: Добрич) is a toun in northeastren Bulgarie, the admeenistrative centre o Dobrich Province. 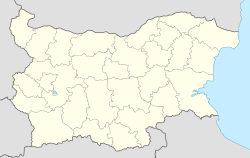 Wi 91,030 inhabitants, as o Februar 2011, Dobrich is the nint maist populatit toun in Bulgarie, being the centre o the historical region o Soothren Dobruja. It is locatit 30 km wast o the Bulgarie Black Sea Coast, no far frae resorts such as Albena, Balchik, an Golden Sands. Dobrich Knoll on Livingston Island in the Sooth Shetland Islands, Antarcticae is namit efter Dobrich. A point o interest is the Dobrich TV Tower. Wikimedia Commons haes media relatit tae Dobrich. This page wis last eeditit on 10 Mairch 2018, at 23:54.